Fun things to do in Tombstone, Arizona, include visiting the Bird Cage Theater, watching a gunfight at the O.K. Corral, strolling through the Boothill Graveyard and exploring the Tombstone Courthouse State Historic Park. 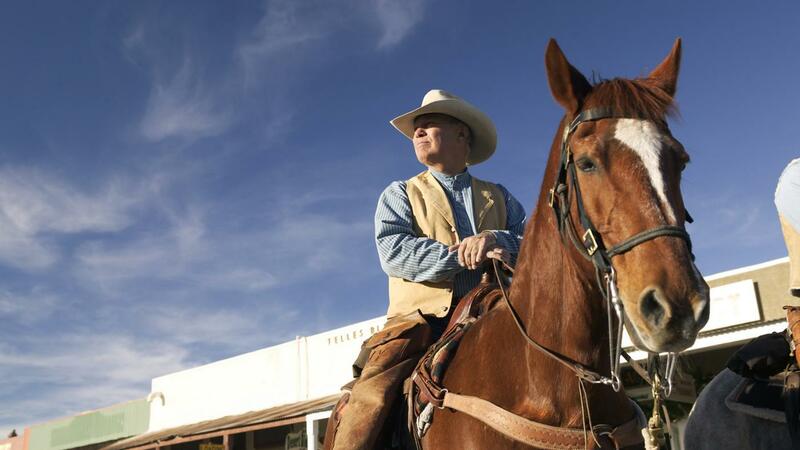 Visiting this Arizona town is a bit like time-traveling back to the Old West. The Bird Cage Theater was a rowdy place. Bullet holes still scar the walls in this honky-tonk that saw at least 26 people killed during the late 1800s. The establishment's name comes from the "cages" that hang around the sides of the room. Working girls and their clients would enter the cages, close the curtains and indulge in private entertaining. Today, the theater is a museum that also offers ghost tours after dark. The O.K. Corral is the scene of the famous 1881 gunfight in which Wyatt Earp, his brothers and Doc Holliday faced off against the Clantons and McLaurys. Re-enactments of the eight-person showdown are held daily. Nearby is the Tombstone Epitaph office, now a museum. The Boothill Graveyard dates back to 1878. Visitors are welcome to walk the grounds. A booklet, available at the information desk, lists where all the people are buried and how they died, if known. A visit to the Tombstone Courthouse State Park with its adjacent gallows is a reminder of how some bad guys met their end. Built in 1882, this Victorian building is now a museum with artifacts from the mining industry and the town's less civilized past.